Thinking about using Slack for project management? Slack project management is a real thing. The messaging app has a few features that make it a viable project management tool. The different ways Slack can assist project management and how effective it is in doing so. A task management app lets you assign tasks and objectives to your team so that there’s clarity on what needs to be done for a project to progress. Create separate communication channels for separate projects. You’ll thus have a communication channel dedicated to a specific project with all the concerned team members involved. Your team will now have a comment thread with all the information they need to proceed with a project! The problem with Slack is that you can only share updates and tasks in the form of comments. There’s no way of organizing and sharing a project’s task lists on Slack that you developed using the critical path method. 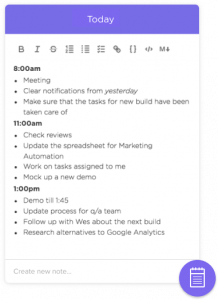 Your team members are then forced to create their own to-do list and timeline on different third-party to-do list tools or paper – whatever they individually use. As a result, project managers will find it hard to keep up with what they’re up to as there’s no common space where you can view all their task lists and project statuses. Moreover, your team members will have a hard time juggling between comments on Slack and their to-do list on another tool. Finally, as your tasks are just comments, you can’t be too detailed. You’re limited to brief summations of what needs to be done. ClickUp is an intuitive and feature-packed free project management tool used by teams at Google, Uber, Nike, AirBnB, Samsung and more. By integrating ClickUp with Slack, you can iron out the issues that Slack faces as a stand-alone task management app. Create separate projects in ClickUp – each with its own task lists and objectives. You can then share these tasks to your Slack channel where your team can get a more detailed look at each project and what needs to be done. This way, they’re not just putting together a bunch of conversations to deal with tasks – they’re looking at a bonafide project detailing what needs to be done! Not only do you have the ability to add tasks to a project, you can add subtasks to each task as well! As a result, project managers can get as detailed with their objectives as they want and give their team members the clarity they need to start a project. With ClickUp, project managers also have the ability to assign tasks to particular team members or more than one team member. They’ll be notified of it and can mark it as resolved once they’re done. You ‘ll get a notification as each subtask or task is completed. They no longer have to create a separate list of tasks they have to do – ClickUp notifies them once a task is assigned. As they can mark a task as resolved, you can keep a check on the status and project deadline of each task. Statuses allow you to know what a person is up to and how far along a project is – without having to communicate directly with the persons concerned. You have a wide array of preset statuses like “At lunch”, “meetings” or even “Out vacationing”! This way, your Slack team will know if you’re busy with meetings or a task at the moment and won’t bother you with any texts. You also have the option of adding custom statuses. As a result, you can set specific statuses such as “working on Task X” to help your supervisor know that you’re currently engaged in a particular task. All this increases the transparency of your workplace as your Slack team now knows what their teammates are up to. Slack’s statuses are limited to people – there’s no option to add a status to a project in Slack. Have we had team meetings over this? Has it been sent to a client? Is it over the project deadline? These are the places where statuses can be incredibly helpful. Unfortunately, it’s also where Slack falls short. When you integrate ClickUp with Slack, you get the added functionality of statuses for projects. Whenever you’ve added a ClickUp project to Slack, your team members will be able to view and edit its status from within Slack itself. This way, everyone can stay on top of your projects at all times! You can add custom statuses to any of your projects – you can now be as detailed as you want! You can mark it as “Internal Review”, “Client Review”, “Editorial Process” etc. This allows you to keep check of a project deadline and status easily. Your team members can easily update a project’s or task’s status in ClickUp – making it easy for the entire team to keep each other in the loop on what they’ve accomplished. You also have the ability to add status templates to projects to save time instead of creating new statuses for new tasks and projects every time. If you want your project to succeed, you’ll need all your team members operating on the same wavelength. Online collaboration tools can help with that. Your team is simply mentioning their status in a Slack chat – not actively working together there. As a result, teamwork could be difficult. There could be a communication gap between when a message was sent and when someone saw it and made any required changes to tasks that you developed for a project using the critical path method. A Slack channel is not a project space – it’s just a communication thread. As a result, your team can’t create a task in a Slack chat and won’t have a workspace to collaborate over roadmaps and deadlines there – they’ll have to manage projects somewhere else. When you integrate Slack with ClickUp, you can supercharge it to become one of the best online collaboration tools out there. You have the ability to create a task in ClickUp from any Slack comment. Just add the Slack comment to your ClickUp workspace and you can make it a task! You also have the ability to view and access ClickUp tasks from within Slack itself. With the “Unfurl” feature, you can include tons of detailed information about the project into a Slack message – allowing your team to view project details of a critical task in its entirety. You also have the ability to push Slack comments into ClickUp tasks as well. This way, in case you come across a Slack comment that’s relevant to a critical task, you can add the comment to your ClickUp project easily. 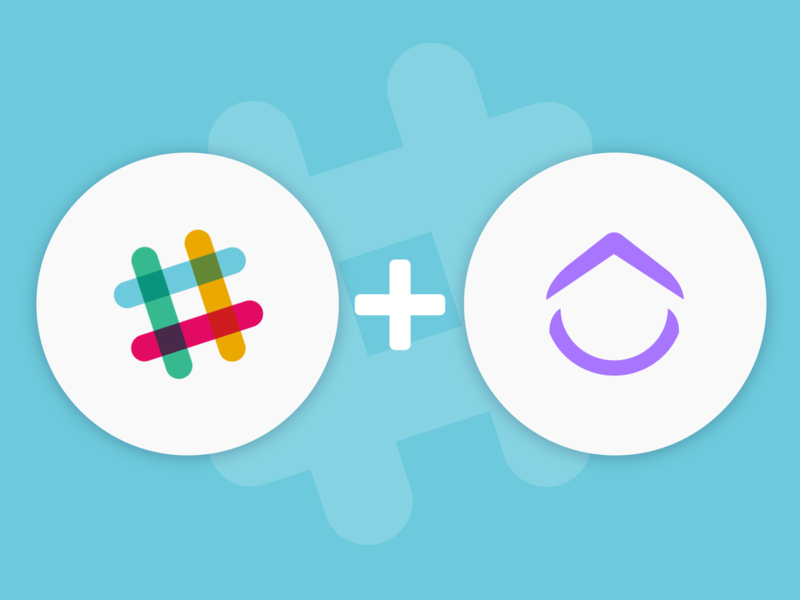 Read more about ClickUp + Slack! ClickUp allows you to assign comments to particular team members so that they know what objectives need to be completed. They can mark a comment as resolved when they’re done so that you’ll remain updated on their status. When using ClickUp as a team communication tool, you’ll know when someone’s editing a document or working on something. With ClickUp’s team collaboration capabilities, you can work on docs together in real-time just like in Google Docs! With collaboration detection, you can see who is viewing or working on the task with you. Your team will also receive automatic updates about file sharing or status changes when they’re made so that everyone stays on the same page. In project management, you can’t afford to lose track of an important message sent to you on a thread a few weeks ago. That’s why your project management tool needs the ability to search for old messages and files. You can locate pretty much anything sent in Slack with a few modifiers and slash commands. For example, using the modifier “from:” will search through all the messages sent by a particular person. Similarly, using the “in:” modifier makes Slack search through a specific channel for your message. Your free Slack account is limited to 10,000 messages. As a result, you’ll only be able to view and search for the most recent 10,000 messages sent in your app directory. This is a problem because you usually turn to the search feature when the piece of information you need is old and you can’t manually find it. Thus, with the message limit on your free Slack account, you won’t be able to search for the files you need the most. With notifications, you’re not manually looking through projects to check for updates – you’re automatically notified whenever something happens. Even though the threads feature does limit the number of unnecessary notifications, users have very limited control over the notifications they receive. While users can mute notifications from a particular channel or thread, you can’t do so for individual projects within these threads. When you integrate Slack with ClickUp, you’ll be able to receive ClickUp notifications within Slack itself. As a result, you’ll be able to stay on top of whatever’s going on in your ClickUp project space within Slack! Part of project management is coming up with ideas on the go, to cope with this, you’ll need a project management tool to note these thoughts down for future reference. The Slack app has an in-built notes feature to help you. Slack’s note page is actually a message channel titled “you” which you have access to. As this is just a message channel, all your notes will be listed down in succession – much like a typical comment thread. This makes it hard to distinguish notes from each other and making edits to them. As this functions as just a private channel for personal comments, you’re limited when it comes to what you can add to these notes. You can’t add items like a to-do list or a task – you’re only limited to pictures and links. Unlike Slack, all the notes you make in ClickUp are stored separately. This makes it far easier to access and edit them in case you have to. ClickUp has a Notepad extension for Google Chrome which allows you to jot down notes on any site without having to switch to a different tab. Just click on the button in your search bar, and the notepad will pop up where you can note down anything that caught your eye on a site. Get more information about the online notepad from ClickUp! ClickUp allows you to add checklists and subtasks as notes. This way, your notes can double up as a handy to-do list for you. You now have a better idea of how good Slack can be when it comes to being a project management app. With the reliability of ClickUp, the ease of use of Slack, and how easily they integrate with each other and other apps, your project pipeline is about to become a lot smoother. As you can tell, ClickUp and Slack are perfect complements to each other. While it shows promise in areas, Slack project management still isn’t the best option for you and your team. Luckily, you can integrate ClickUp with Slack to iron out all these flaws and save yourself the trouble of searching for another Slack alternative like Asana, Wrike or Trello. With ClickUp, you’ll have all the functionality you did with Slack – except it’ll be more in-tune with what modern project management software needs. In case you’re still on the fence – why not download ClickUp for free and try it out for yourself! You can try our award-winning project management software for free here. Click here to make Slack 300% more productive! And check out our help docs for more about the ClickUp Slack integration.